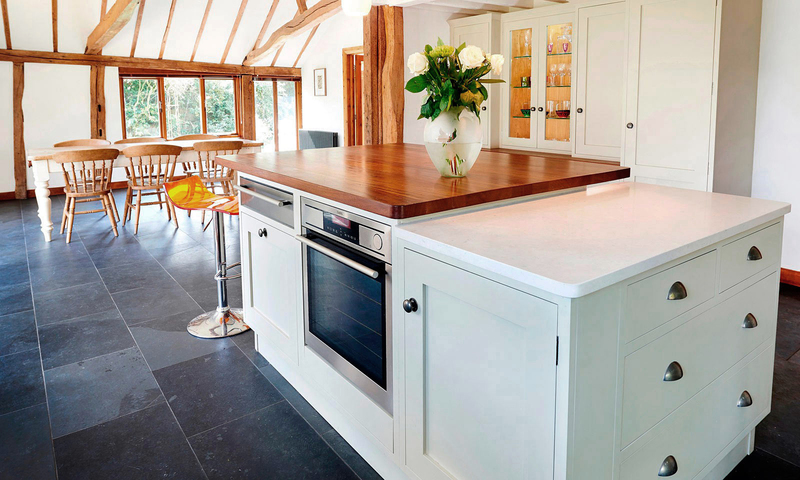 The client required a new kitchen in their barn conversion due to internal remodelling. 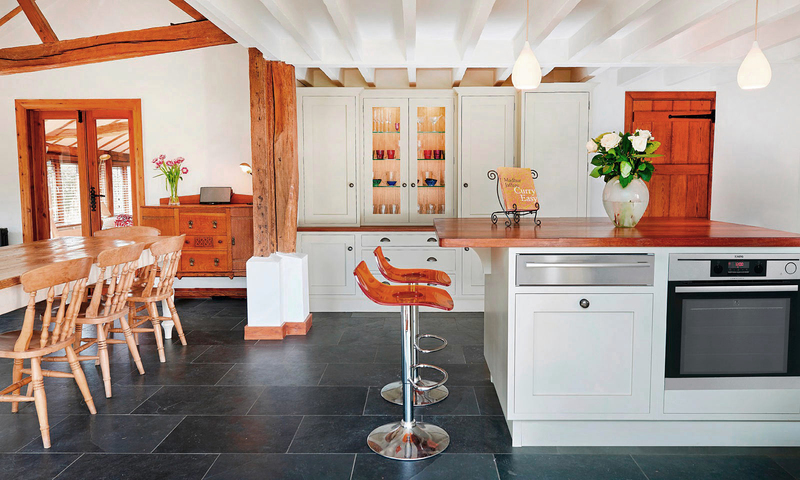 A wall was removed to create a kitchen breakfast room, exposing structural beams and leaving a large open plan space with two different ceiling heights. It was critical that the room flowed as one rather than remaining as two separate spaces. 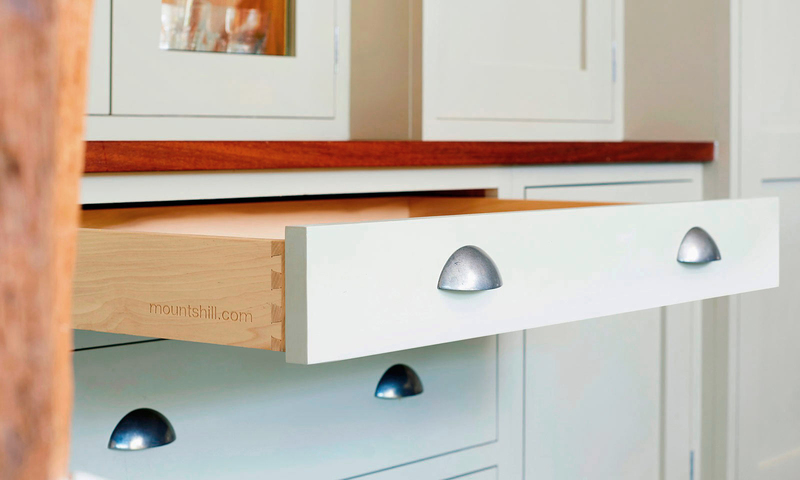 Mounts Hill Woodcraft created a spacious wall of cabinets which provide lots of storage and bring a feeling of space and length to the new kitchen. Styled on a freestanding break-fronted dresser, the central cabinets have glass doors and built-in trailing edge LED lighting. 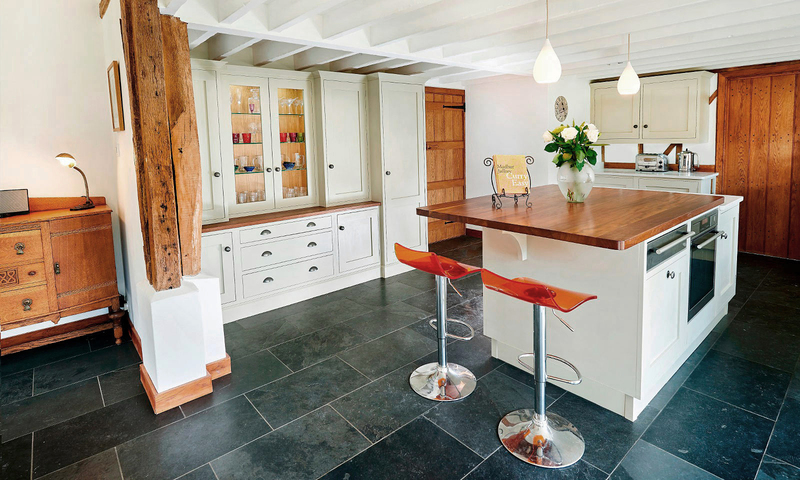 The kitchen was painted in Farrow & Ball 'Bone' and has 'Kashmir White' satin finish granite worktops. To ensure the flow and link between the breakfast room and the kitchen we chose a beautiful warm Iroko wood worktop for the island unit, complementing the exposed beams and structural timbers.